Back in Stock. 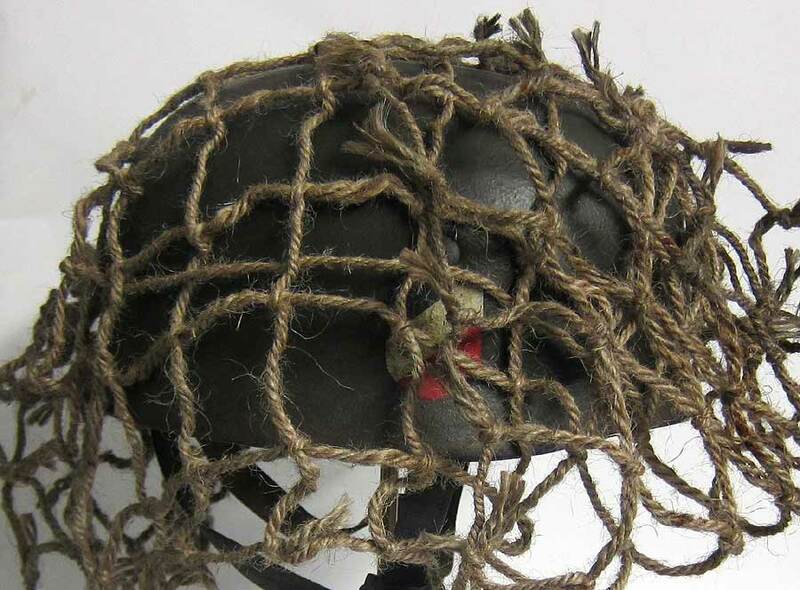 Reproduction WW2 German Helmet camo net, they were used on all models of German WW2 Helmet including the German Paratrooper Helmet. 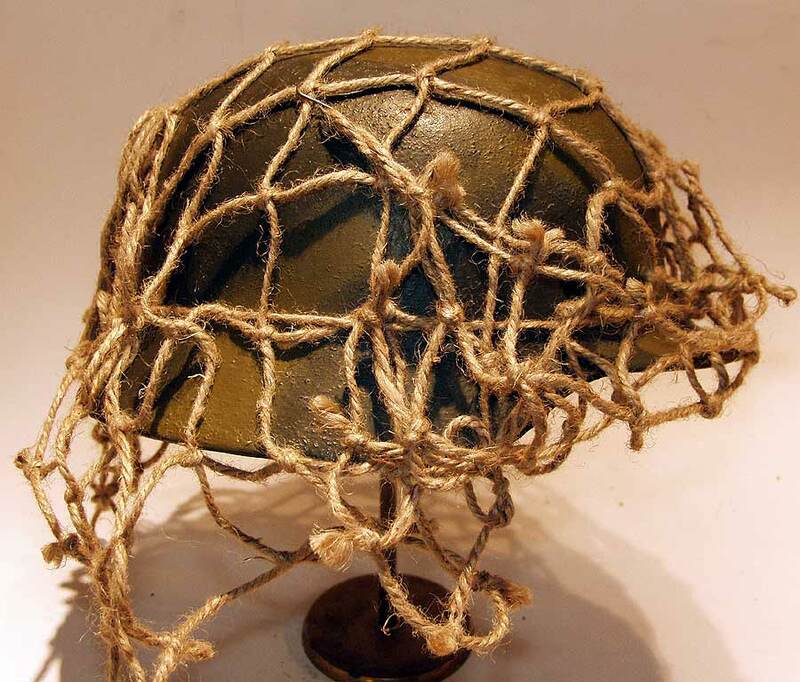 There only a few official versions of the camouflage net made by the German Wehrmacht and this is an identical copy. Included with the net is the metal tightening ring and two metal front hooks.The two metal attaching rods are not supplied, you can make these from galvanised wire or wire coat hangers.